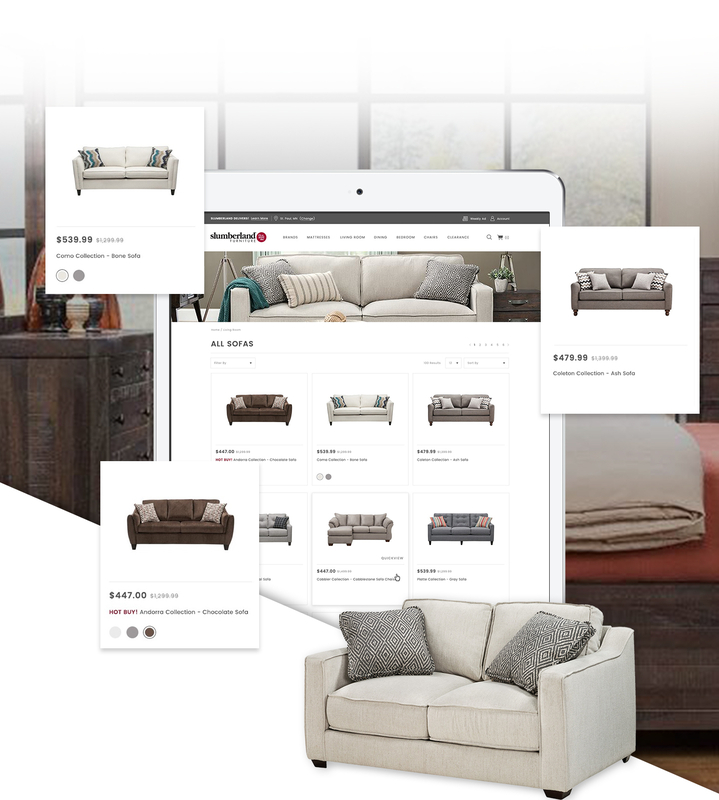 From it's humble Minnesota roots, Slumberland has grown into a 125+ store furniture leader whose vision, selection, and customer service serve as shining examples to everyone else in the industry. 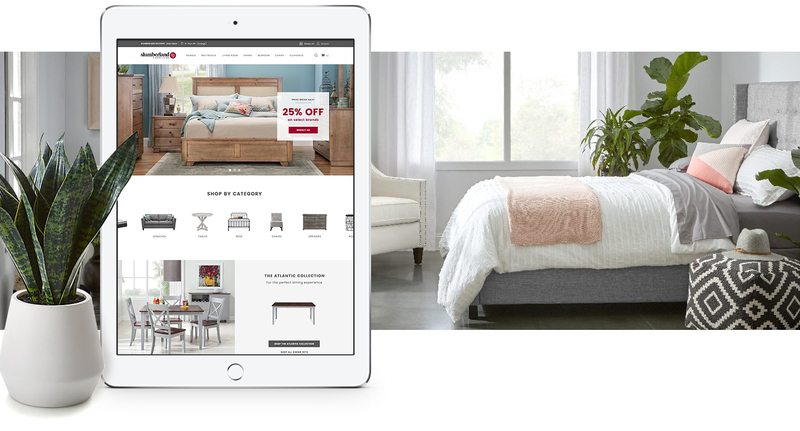 As Slumberland turned to digital channels to expand outside the Midwest, the brand needed a commerce partner that could not only implement a scalable, intuitive commerce platform but also design a fresh new engaging experience from the ground up and support its ongoing optimization. 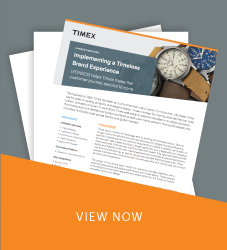 Slumberland turned to LYONSCG for its holistic approach to digital marketing, design, implementation, and support. 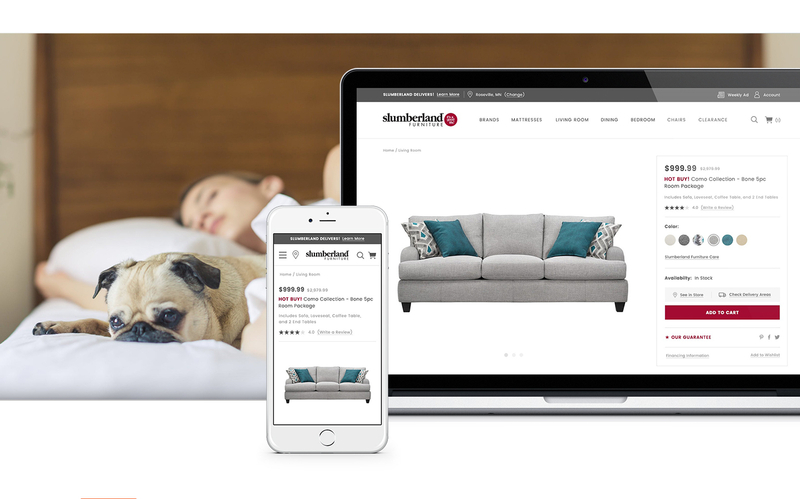 The new site was built on Salesforce Commerce Cloud, giving Slumberland the exact solution they needed to engage customers and build their business to new and exciting heights.